When a lawyer friend of Seans is mysteriously murdered, Sean decides to represent the serial killer, an autistic savant that his friend was defending in hopes to discover what happened to him. Together, King and Maxwell discover a possible plot that has political repercussions. When Michelle is questioned after an assassination attempt on a visiting diplomat she was once assigned to protect, Sean steps in as her lawyer. The two begin to investigate a possible high-level cover-up to help clear Michelle’s name. When a supposed Columbian kidnapping ring abducts a 13-year-old boy, King and Maxwell team up with the FBI to find him before it’s too late. Meanwhile, a blast from Sean’s past puts a damper on the search. When the son of one of Sean’s old associates commits suicide, suspicions regarding his death arise. King and Maxwell’s investigation opens up an unexpected case involving a killer targeting the family members of former Secret Service agents. A congressman with a connection to Seans past hires King and Maxwell to uncover the secret identity of a menacing tabloid blogger. When the target of their investigation is suddenly murdered, their search leads them to a hired hit man and an unexpected betrayal. When Michelles P.I. brother comes to town on behalf of his wealthy client, he enlists the help of King and Maxwell to solve the case. Their investigation leads to a strange connection between a criminally insane mob boss and the witness protection program. 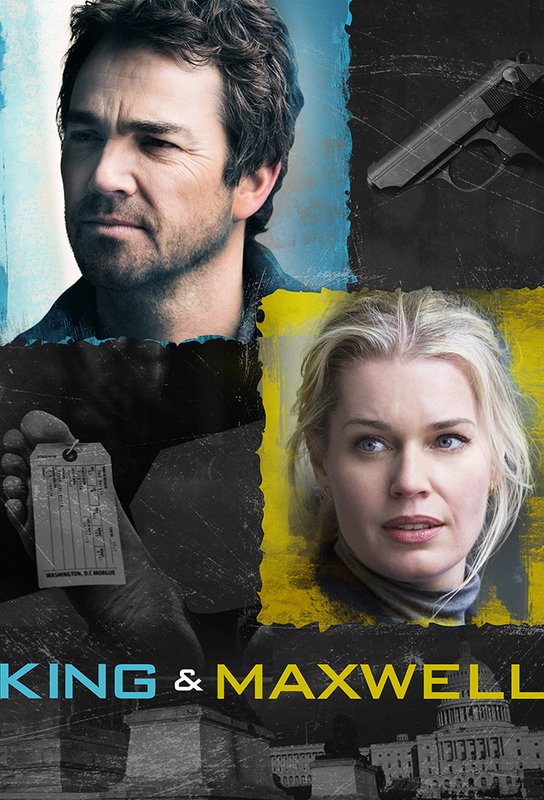 King and Maxwell are hired to locate a stolen cell phone and are immediately put to the test when the search turns into an unexpected partnership with the CIA. Meanwhile, Sean receives some interesting information regarding the Ritter assassination. In the season finale, Seans investigation of the Ritter assassination threatens to end his partnership with Michelle as she considers returning to the Secret Service. The shocking truth sends Sean back to the scene of the crime to prevent history from repeating itself.